Dos and don'ts of astrology, What to do and what not to do while using astrology, Astrology dos and don'ts, Precautions to take while using astrology by own, What to take care while using any gems stone, yantra and other remedies of astrology. Astrology is a science and if it is used in a perfect way, it opens the way to success but using the tips of astrology in wrong way lead to nonsuccessive too. I have seen many person in my daily life who are suffering due to using the gems stones, in wrong way, by doing fast in wrong way. If you offers or daan wrong planetary items, it leads to problems in life. If you do fast which is not required as per astrology may lead to nonsuccessive and diseases. If you buy things in Inauspicious or wrong time, it will generate problems in life. If you are not doing rituals in good time then it will not give you the desired results. If you are not offering planetary items at right time, to right person then also it is of no use. If you are wearing gems stones which is not suitable then it may lead to nonsuccessive. So it is not easy and simple to use the spiritual articles. If they are able to provide success, they are also able to create problems if handled improperly. I am clearing you something about what not to do in your daily life if you really want success. Do not wear any rosary or beads of rudraksh, pearl, sphatik or crystal or any gems stones without any proper guidance. Because there is energy in every thing and if it is not suitable for you then it may be possible that you will get any loss in health, wealth and relations. Do not wear any gems stones without showing your horoscope. Do not wear any gems stones as per the zodiac sign. Some times it is not suitable and generate problems. Using the gems stones in wrong finger also create disturbances in life so be careful and take full guidance from an experienced astrologer. Chanting spell or mantras without any guidance also leads to many diseases. If any mantra or spell is chanted wrongly then it may arise many types of doshas which will create problems of different types. If you are doing daan of items which are suitable for you then you are putting yourself in great problem. Don't wear any spiritual items just for sake. Always take consultancy of a good astrologer to know the best gems for you. If you want to do any pooja or ritual then also consult an astrologer to know which type of pooja is suitable for you. Always ask astrologer or scholar to know your deity to worship. Show your horoscope at least once in year to know what to do in the coming months for success. 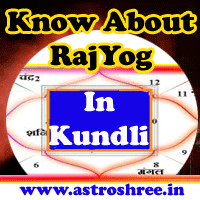 Ask your astrologer to know about your auspicious day to start any work. Ask your astrologer to know about the strengths and weaknesses of your personality as per astrology and their remedies. Do tarpan for the upliftment of your ancestors on every choudas or amaavas. For details ask astrologer. Do hawan atleast 3 times a year. On every special occasion always take blessings from ancestors, family god or goddesses etc. Before any special pooja aur celebration always ask astrologer regarding what to do as per astrology for success. If you follow my these guidance then definitely you will find changes in life. Indian epics says that satisfy your guru, consultant by providing proper dakshina and honour and then ask them to guide you. If you do this you will definitely get the way of success. 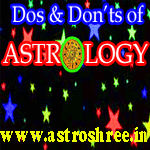 Dos and don'ts of astrology, What to do and what not to do while using astrology, Astrology dos and don'ts, Precautions to take while using astrology by own, What to take care while using any gems stone, yantra and other remedies of astrology. Astrology for Life, astrology for success, astrology for love life, astrology for career, astrology for profession, astrology for marriage life, astrology for business, astrology for Hollywood and Bollywood, Online astrology for over all success.